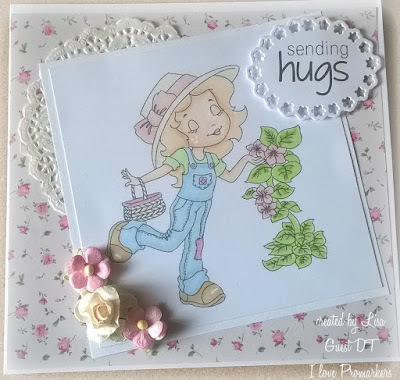 are the sponsors of this challenge, and I was lucky enough to be given one of their adorable images to play with, I chose, "The Sweet Gardener" which I've coloured with Promarkers. The whole team have made some amazing cards for this challenge, so why not hop on over for a visit. Such a pretty card Lisa, a sweet image.